Get ready for a run and now you can run in these women’s Adidas Alphabounce Running Shoes. These Adidas shoes come in many colors and you can see them all by clicking on the picture of the running shoe. 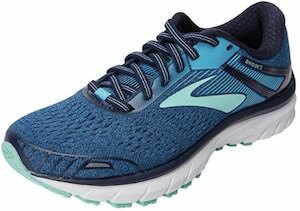 You can get these running shoes in women’s sizes 5 – 11.5 so you know they fit right. 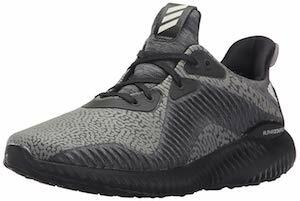 The Alphabounce HPC AMS running shoes are neutral and have a bounce couching for flexibility and comfort. Now you can have some cool red or black platform sneakers. The women’s shoes are not made for a run but more like to look great and comfy on your feet. You can get these sneakers in black or in red and white (like the picture) and both versions have a fun zipper and you can look inside the sole to see the air chamber to make them look more sporty. 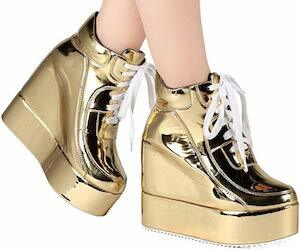 And these are platform sneakers and that will make you look a little bit taller. 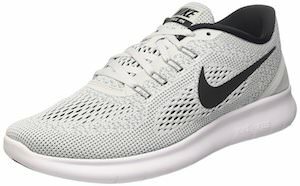 You can get these women’s sneakers in sizes 5.5 – 9.5 so that you can get the perfect size. If you are looking for the perfect new shoes for a nice workout then you should be checking out these Puma Tazon 6 crosstrainer shoes. Take a run outside or a workout class inside these women’s Puma sneakers are perfect for you. And we did show you a black and pink version of these sneaker but they are available in many other cool colors too and most have a black or white base color. 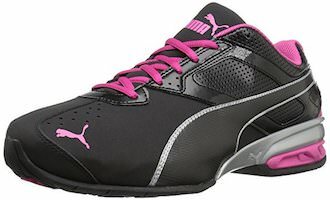 You can get these Puma shoes in women’s sizes 5.5 – 11 so that it will fit your feet perfectly. If you want some cool leather sneakers that are not made for a workout but are perfect for everyday wear. The women’s sneakers are made from 100% leather and come in fun colors like white, brown, red, black, and more and they come in sizes 5.5 – 10. 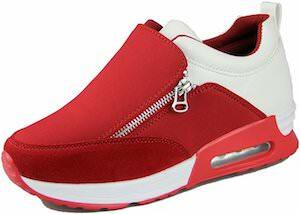 The sneakers are high with little zippers on the sides which makes them easy to wear and they add a fun detail. 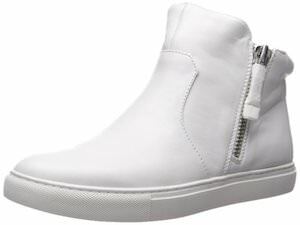 The leather sneakers have a white sole that makes the fully white if you pick the white shoes and add a great detail when you pick the other colors. Summer is perfect for water sports and other fun and you could need some shoes especially if you are not on a nice sandy beach. 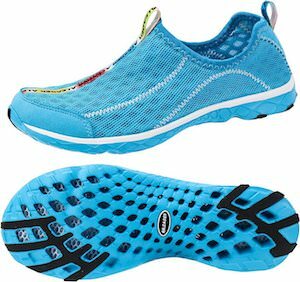 These slip on mesh water shoes are made to be comfortable and that get rid of the water when they get wet. The Aleader mesh water shoes come in many fun colors from a plain black or white to something more fun like the light blue or a pink and there are many more options so click on the picture above to see them all. A hike in a stream, canoeing, surfing and other water activities are all perfect for these fun shoes that easily slip on and come in many women’s sizes. If you like to do Zumba or another dance class but are not happy with the shoes you wear then you should check out these sneaker style dance shoes. The Zumba Flex II comes in 3 colors from bright to a more dull color and all come in many sizes and are made for an active dance workout. And the shoes are synthetic and have lots of mesh. 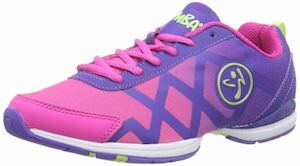 Get your Women’s Zumba Flex II Dance Shoes for $54.95 and Free Shipping.